This lightweight aluminum easel accommodates canvases up to 18" high and 1" thick. 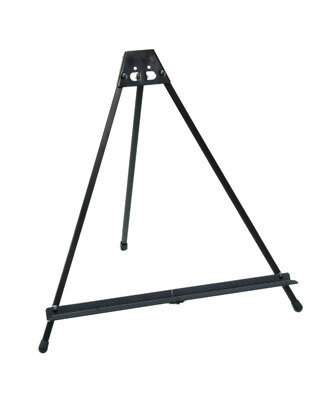 The Light Weight Folding Easel can adjust its tilting angle for optimum viewing display. Folds for easy transportation and storage.